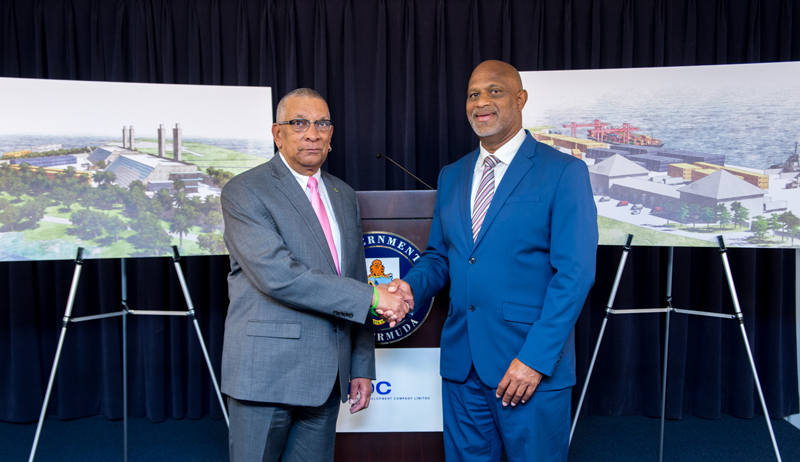 A spokesperson said, “Bermuda Land Development Company Limited [BLDC] today announces an exciting new phase in its long-term plan to redevelop land for economic growth, infrastructure improvement and job opportunities in Bermuda. “BLDC invites local and international companies to submit their qualifications to be considered for future proposals to design, build and operate two major infrastructure projects in the East End – an energy generation facility and a cargo port at Ships Wharf [A.K.A. Marginal Wharf]. “The RFQ [Request for Qualifications] processes for both infrastructure projects begin today, and will close on May 23, 2018. Francis Mussenden, CEO of BLDC notes, “Our mandate is to evaluate and support redevelopment options that strengthen the social and economic fabric of Bermuda. Minister of Public Works Lt/Col David Burch said, “The potential projects at Ships Wharf are of national interest, and will provide short and long-term jobs and business opportunities in the East End. 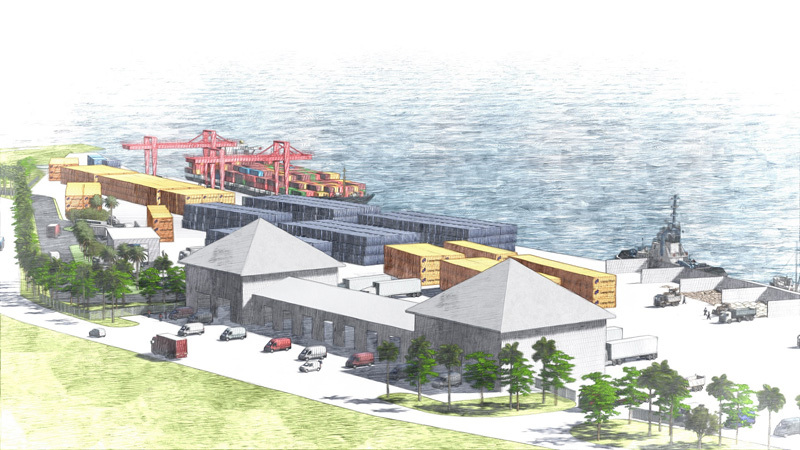 “The proposed developments at Ships Wharf are expected to be completed over several years, following the selection of the most viable partners for each project,” BLDC said. “These are exciting times for Bermuda. Along with the global economy, Bermuda’s economy is growing and we are preparing for the future,” says Mr. Mussenden. 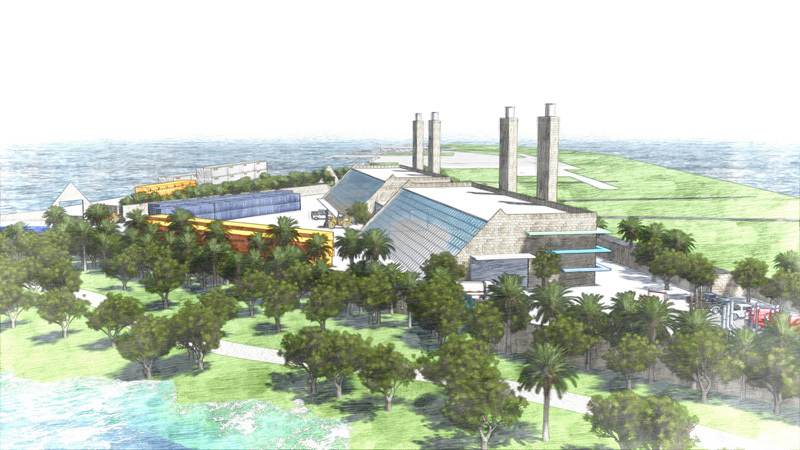 BLDC added, “The proposed Energy Production Facility and Cargo Plant are both expected to exceed US$150m, and take several years to complete. Details and requirements for the two RFQ processes are available on BLDC’s website – www.bldc.bm. Solar panels etc. should be installed to cut down the electrical bill at the cargo port and the facility should be connected directly to the new energy generation facility to ensure electricity when Belco goes offline. Yes! You are correct. At 15W/sf and the size of marginal warf we should be able to power white horse tavern provided there are no clouds. Let’s do this and stick it to the man! U got $15million? The recent budget allocated $$ to new designs for both Longbird and Swing bridges. Perhaps we will see progress on all fronts sooner than we think. the causeway needs replacing regardless of this – we cannot have a spanking new airport that no-one can get to! LOL! One thing for sure – Aecon will NOT be awarded any of these Projects EVEN if they have the best bid! But you can bet your bottom dollar Island Construction will WIN both Projects hands down and it’ll be Port Royal all over again!! The Col. is back! Private sector can’t compete with the government. The Col. should be resolving his South Shore Condo project before he gets involved in anything new. So we will ignore the legislation on energy planning. What a joke. Two characters shaking hands that don’t understand the laws in place today. How will this project reduce energy costs. Didn’t belco get their replacement generation project approved. How do you know they have not met with the Regulatory Authority? In my experience, things like this are not just ‘announced’. It would be pretty pointless to put this out to an RFQ and they turn around and say ‘oh, sorry, we forgot to consult the RA,’ wouldn’t it? How is this going to be funded? This could well be the reason Zane DeSilva resigned……he knew he would get the job! This project has been in the works for a long time. Just what we need another fossil fuel energy plant. What the hell is wrong with the Government? This could have been used as an assembly area for an offshore wind farm that could generate renewable energy bringing us closer to meeting our energy goals. It also could have provided hundreds of jobs!!! We ain’t going forward folks, we’re going backwards! Another billion or two in debt is the only likely outcome of these projects. Seems PLP and BELCO have not heard that there has been climate change agreements made globally that will make running an internal combustion generator more expensive than a lithium ion setup. Then again maybe they do know but since they are vested in it they will still reap profits by holding our energy supply hostage while they get rich and we go broke. Do we have any minister or mp with the guts to stand up to Ascendant Groups monopoly or will we just let them pollute the rest of the island for their own profits. You will complain about paying for electricity no matter what. Introducing another plant/company will only drive costs up. Exactly what happened with the communication industry, cell phone bills are outrageous! Only in Bermuda does introducing competition bring cost up. The government makes regulations that hamper competitive rates just to squeeze more taxes out of joe public. Government has their fingers in everyone’s pie, spoiling profits. Spoken like someone who has absolutely no clue. Big oil would like you to think that by hiding the clues but they are out there. It takes 40 years before one of Elon Musk’s mega batteries need to be replaced. Oil has to be replaced every week. The future is here and Bermuda will once again be left in the past having to catch up after everyone else is already there. let us not forget the dock is too shallow for the ships to get into so they had to be unloaded by barge for the airport?????? those who talk about this have absolutely no clue. 2.) competing with NYC, Norfolk and Boston ( who have direct services to Europe . it’s a bit early to say isn’t it? The developers could conceiveably build an arm for the ships to berth at?